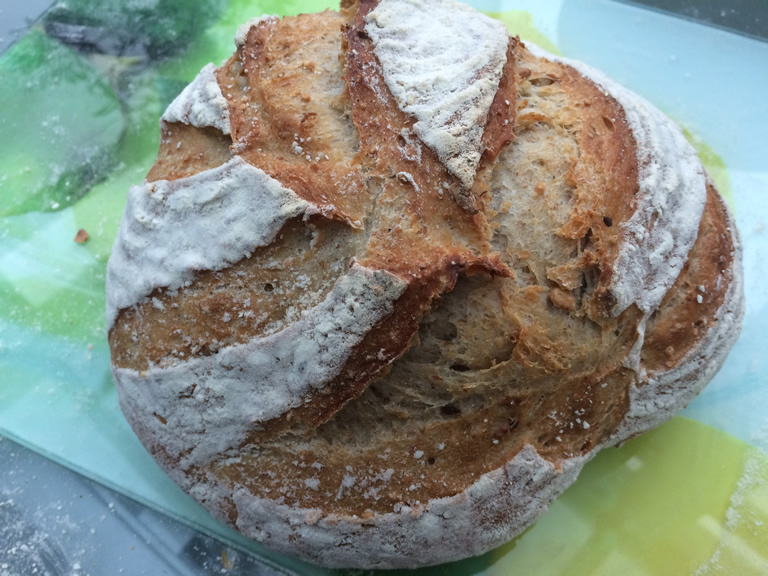 We will be concentrating on running our new baking classes, so for the time being we’re not taking bread orders. The next baking day is on Thursday 19 July, please order by Tuesday 17 July at 12 noon by filling in the form below or texting to: 07787 553093. Collect between 4pm and 7pm on Thursday 19 July. Norwegian Cinnamon and Cardamom Buns, £2.50 each. 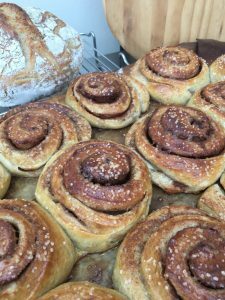 These Norwegian Cinnamon & Cardamom Rolls are the essence of deliciousness. They’re aromatic, sweet and irresistible, made with organic stoneground white flour, and a classic filling of cinnamon, butter and sugar. 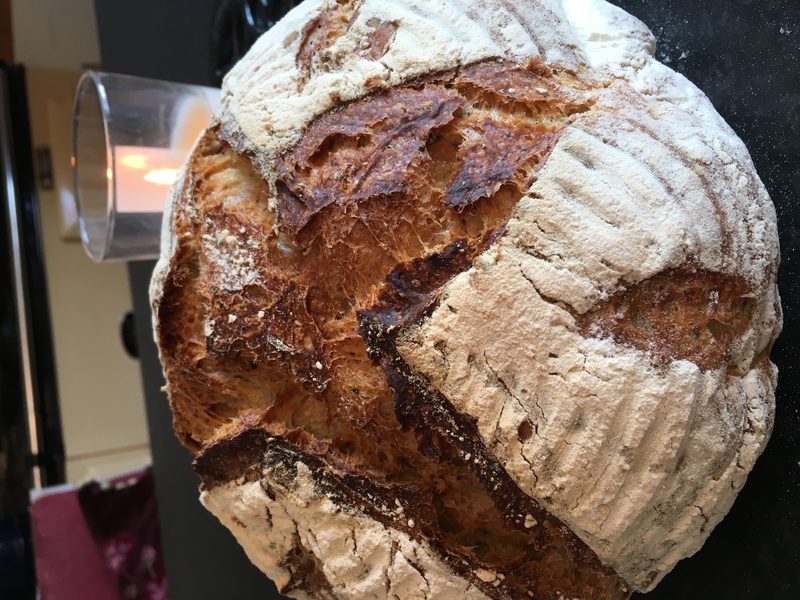 Multi-seeded Sourdough Bread, with white organic stoneground wheat and wholemeal spelt bread flour, (about 750 grams), fermented for at least 12 hours, £4.00. 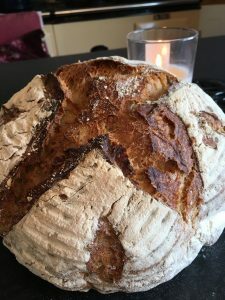 This tasty aromatic long-fermented Multi-seeded Sourdough Loaf is crusty on the outside and satisfyingly chewy on the inside. Lovely any time of day! Norwegian Rye Sourdough with Organic Stoneground Locally Milled Flour (about 750 grams), £3.50. This gorgeous Sourdough Bread, is made with a mix of locally milled organic stoneground wholemeal rye and white flours and is fermented for at least 12 hours. This process develops flavour and makes it easier to digest. Country Sourdough Bread (about 750 grams), £3.50. 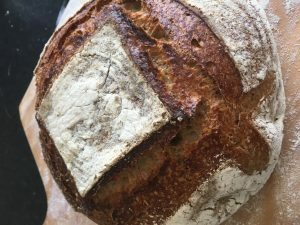 This crusty Long-fermented Sourdough Bread with whole-wheat flour has a clean flavour and a balanced acidity. It is gorgeous with any kind of food.